Does life always give oranges, you may ask? To some, oranges are acidic but for a few a morning without orange juice is like a day without sunshine. They are packed with vitamin C and…but hang on; this was not my topic…back to business. Not all news is interesting and as such some news calls for rethinking. These headlines may mean more than sunshine and oranges so perhaps may leave a reader shocked, in deep thinking, or intrigued. That is exactly what happened with the Brexit. Britain’s exit from the European Union shocked nations across the globe. The people of Britain voted for a British exit, or Brexit, from the EU in a historic referendum in June 2016. The outcome has prompted jubilant celebrations among Euro-sceptics around Europe and sent economic shockwaves around the globe. There are several concerns and issues which are unanswered and have left a lot of businesses with the impatient thought of what happens next. This article intends to present a brief on the implications surrounding international arbitration and the global importance of London as a seat of arbitration. Numerous jurists have expressed their views that the position post-Brexit would remain unchanged when it comes to London as a seat of arbitration. In the midst of 2016, when Britain showcased their exit from the UK, London was the seat of 4,738 international commercial arbitrations, mediations, and adjudications. 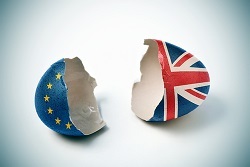 The main legislation that provides the framework for arbitration in the UK, the Arbitration Act 1996, is not triggered by EU law and will continue in force following the UK’s exit from the EU. The Act remains supportive and it is unlikely to impose any adverse effects. Considering the interpretation of Arbitration Act over the last two decades, the English and Welsh courts have majorly developed arbitration friendly and noninterventionist approach, which we assume uninterrupted with Brexit. It is imperative to consider that the UK remains a signatory to Convention on the Recognition of Enforcement of Foreign Arbitral Awards 1958 (more commonly known as the New York Convention), which provides for the enforcement of arbitral awards across currently 156 jurisdictions, including all EU Member States. When the parties choose their contracts to be governed by English or Welsh Law, the choice of London as the arbitral seat is preferred. The popularity of English and Welsh law (and also English language) in international commercial transactions is unlikely to wane significantly post-Brexit. The most preferred for this jurisdiction is a pool of experienced arbitrators, counsel, and experts, which is also home to several popular arbitration institutions, such as the LCIA (London Court of International Arbitration) and CIArb (Chartered Institute of Arbitrators). Arbitration is likely to become a popular choice in light of Brexit, as it will provide stability and certainty. Most notably, we know that arbitration awards rendered in the UK will continue to be enforceable across the EU pursuant to the New York Convention. This contrasts with the enforcement of English and Welsh judgments, the regime for which will probably change once the UK exits the EU. Brexit may also improve London’s attractiveness as a seat for arbitration. Not only may third parties see English and Welsh law as being more certain and neutral if it no longer binds itself to the decisions of the Court of Justice of the European Union (and thus adopt ‘English law, English seat’ when drafting dispute resolution provisions), but the English and Welsh courts may also be willing to re-establish the use of anti-suit injunctions, currently prohibited under EU law, in respect of EU related jurisdictional disputes, to prevent parties from commencing actions in EU courts in breach of arbitration agreements. A member state wishing to leave the EU must trigger the exit process by notifying the EU under Article 50 of its intention to leave. The UK decides on the timing of the notification. Once served, the notice triggers a period of up to two years during which negotiations will take place between the UK and the remaining 27 member states as to the terms of its exit. The two-year period can be extended, but that requires unanimous agreement of all EU member states. Further, implications on the contractual obligations and relationships would be a major concern where parties may avoid their obligations relying on force majeure clause or a material change clause or may argue that the contract is frustrated. The contractual mechanism will be considered carefully where the parties may seek to avoid any negotiations about contractual performances, once the parties assess the legal, economic and regulatory landscape of this political exit. Changes in the regime would also establish the scope for investors to claim against the UK under its bilateral and multilateral investment treaties, based for example, on their expectations as to the stability of the regulatory system into which they invested. The fact that there may be uncertainty as to the content of English law after a withdrawal could in itself lead to disputes, as parties seek to test the position. The situation may arise where any UK legislation would be appealed or amended and it would no longer be required to comply with an EU directive. In addition, there may be scope for argument in the context of principles established by EU case law prior to the exit should continue to influence the UK courts' interpretation of UK law, unless, where UK legislation introduced post-exit is similar to an EU Regulation. In regard to dispute resolution procedures, exit from the EU will mean that key EU legislation regarding jurisdiction and reciprocal enforcement of judgments (namely the Brussels Regulation) would no longer apply to the UK. It is likely that the UK would seek to reach an agreement with the EU on such matters, or seek to join existing conventions such as the 2007 Lugano Convention or 2005 Hague Convention on Choice of Court Agreements. In default of that, English law has its own domestic rules on jurisdiction and enforcement of judgments which would very likely apply in international cases in the English courts involving EU parties. Importantly such rules will respect any choice of court provision, and so in commercial cases where a choice has been exercised, there is unlikely to be any material effect on the conduct of cases. Overall, although there may be some instability and uncertainty, it seems unlikely that Brexit would substantially damage the UK's position as a premier dispute resolution center. Arbitration with a seat in London should not be affected by the exit from the EU because the UK will remain a party to the New York Convention 1958, along with all the remaining EU Member States. Can You Choose Your Own Judge?